Scotscape is a multi-disciplinary landscape and green infrastructure company. The team has over 30 years experience in the landscaping industry. The company specialises in the design, installation and maintenance of landscape developments. In fact smart greening systems including living walls and green roofs are a core part of the business. Their 360 degree approach to landscaping provides multiple greening solutions to clients. The mission is to introduce sustainable landscapes into the built environment to support biodiversity, health and wellbeing. Scotscape has played an important role the evolution of living walls in London and the South East. Since the first large scale walls were installed here in 2006, the company has been leading through innovation. Living walls, also known as green walls, are now firmly embedded in the urban dwellers consciousness. 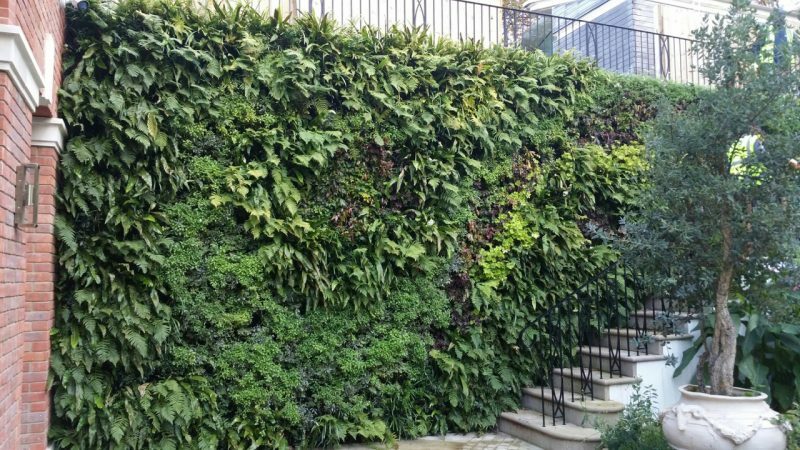 The benefits of living walls make them a leading solution for any property that needs to improve aesthetics. Furthermore, they embrace embrace the fundamental benefits of nature. For cities, green walls also provide a wide range of environmental benefits. Consequently they, along with other green infrastructure approaches, they help build resilience. We developed the Scotscape Living Wall system after a long experience installing many different living wall systems to create an efficient and effective green wall solution. The lightweight Fytotextile fabric which we use is key to plant health, smart water use, rapid installation and straightforward targeted living wall maintenance. Living walls are an urban feature which is here to stay, our mission is to make our cities healthy sustainable environments in which to live. Scotscape work includes innovative designs solutions, working in the UK, Europe and the Middle East.